The CO2 shaker KM CO2 with orbital shaking motion is ideal for use in incubators with 0 - 20 % CO2 concentration, up to 95 % relative humidity and an ambient temperature of up to 45° C.
This shaker has a shaking platform of 200 x 295 mm with a loading capacity of max. 2 kg. 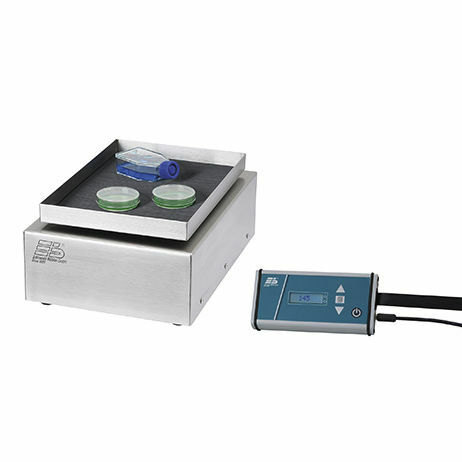 The stroke of the laboratory shaker is 20 mm and the shaking speed can be adjusted between 30 and 220 rpm.